Be the quickest cop at the party in this Zootopia Judy Hopps Knit Beanie Hat. 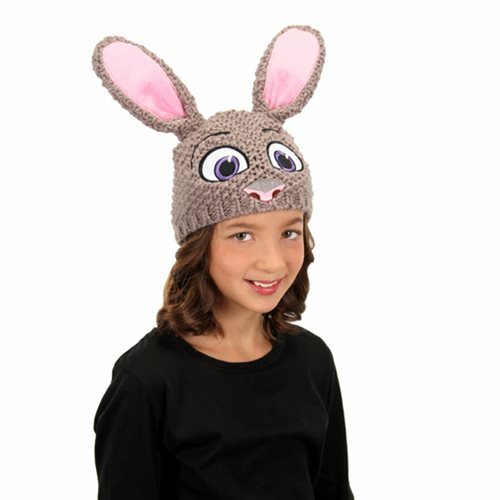 This highly detailed hat features Judy Hopps's eyebrows, bunny nose, and violet eyes. The hat is made of 100% soft polyester and is complete with tall bunny ears. Fits most kids and teens, and some adults. The Zootopia Judy Hopps Knit Beanie Hat is a must have for fans of the hit Disney movie Zootopia.